New Flesh offers classes on fabrication for various applications such as electronics, animatronics, mold making, body casting, sculpture and engineering . We are currently hosting all-ages classes for adults and children ages 10-17. We provide fun, hands-on, immersive courses geared towards direct experiential learning. We also host private tutoring sessions by appointment for various topics in Fabrication, Science, Art and Biological sciences. Parents and children working as teams to make a single in-class project only pay ONE fee! FILL OUT THE REGISTRATION FORM ON THIS PAGE to sign up for classes. You will receive a separate email with Payment and Terms of Service information once your Registration is processed. We also offer Private Tutoring sessions for Adults Learners and Children on the topics above and more! Contact us at thenewfleshworkshop@gmail.com for tutoring questions. Metal casting has been used for millennia to create metal objects using readily available materials. Participants in this course will learn how to pour aluminum relief molds using casting sand. 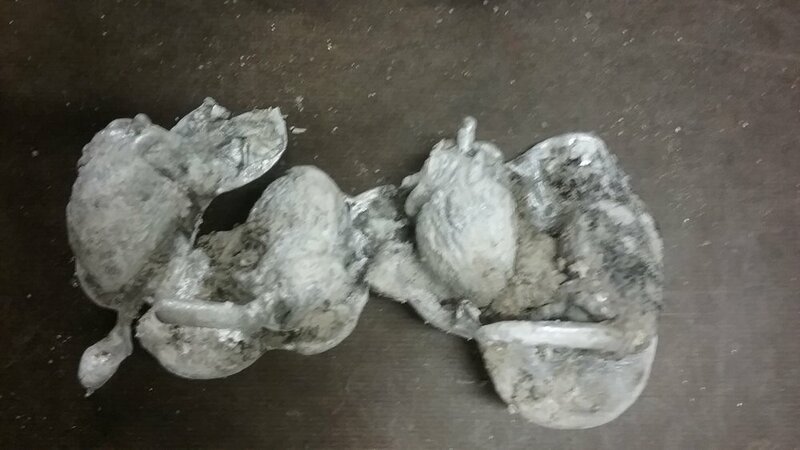 This course also covers how to create a DIY metal casting furnace! This class is MESSY and Potentially DANGEROUS! Wear clothes you don’t mind getting dirty, long pants and close toed shoes. Please list their Names and Ages. Please list the course or courses you would like to take. We use natural latex and various other chemicals and materials that may cause allergic reactions. Please list any allergies. Please list the Name, Phone number, Email and Address of your Emergency Contact. If you are curious about a specific aspect of our courses or have some experience (as a Professional, Student or Hobbyist) with these subjects that you would like to share, please do!